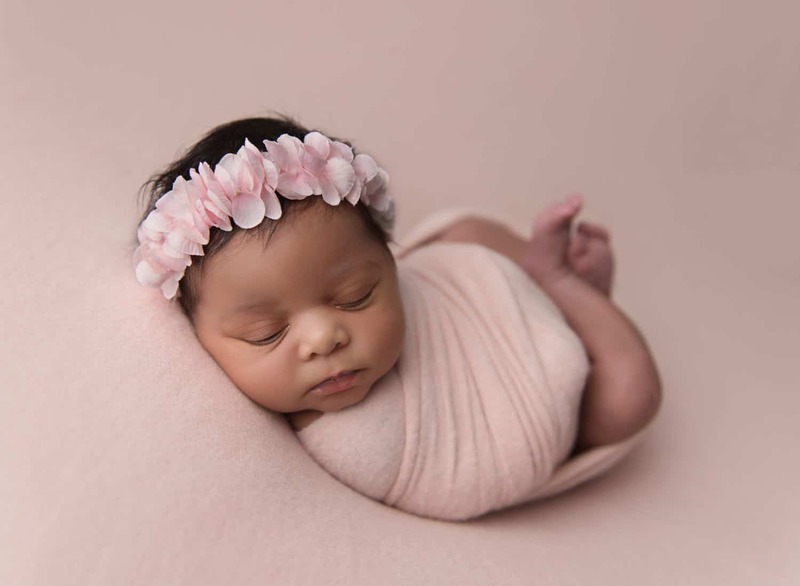 Families with the means and forethought to hire a newborn photographer have these fleeting first weeks documented by in-home lifestyle photographers or newborn-focused studio photographers. 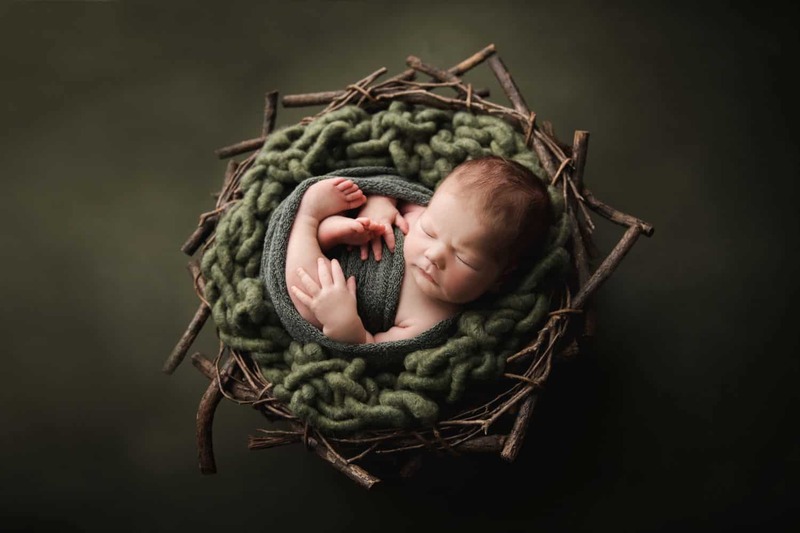 Baltimore photographer Chaya Braun focuses on delivering only the best newborn photographs to her clients. Because of their well-rounded skillset, wedding photographers often find themselves enhancing their wedding businesses with family portraits of previous clients, or commercial images for caterers and jewelers. But photographers like Chaya recognize the value of booking specialty talent. 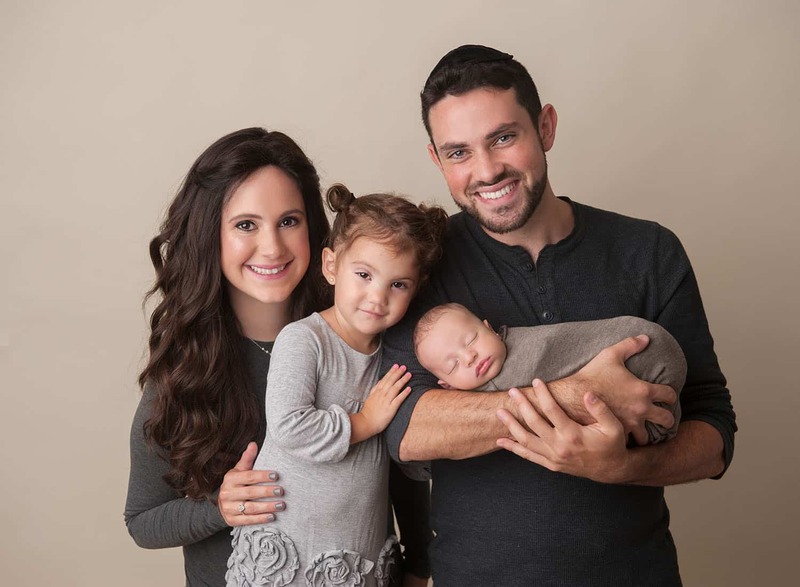 “When I want family portraits, I gladly hire a reputable wedding photographer for the shoot,” Chaya shares, acknowledging the extensive portrait skills wedding photographers develop. And yet, as Chaya knows all-too-well, the creating stunning studio portraits of newborns requires a vastly different skillset. Why do a mediocre job in every genre, when you can specialize and truly rock at photographing your favorite clients? In the early (and not-so-long-ago) days of photography, a photographer was a photographer was a photographer. A lot has changed, however, since the one-size-fits-all days of the jack-of-all-genres photographer. Now, the industry’s most successful creatives choose to specialize. 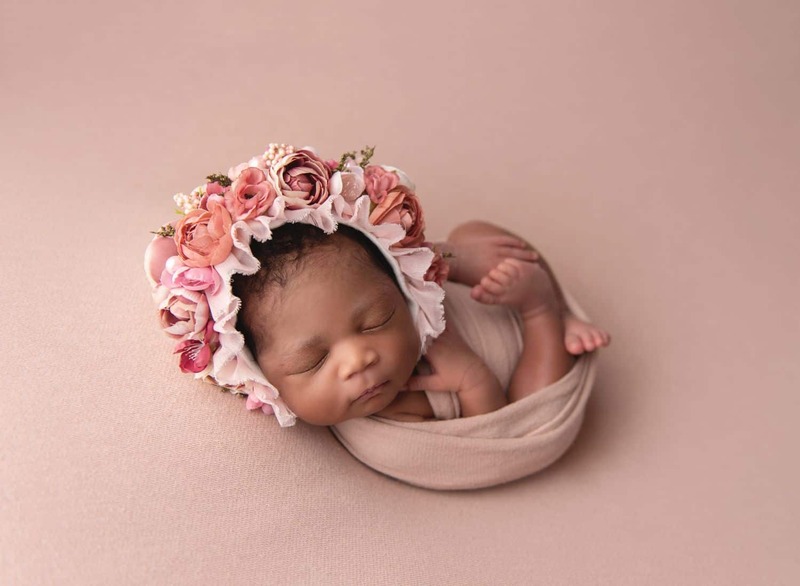 Because they focus their energies on a single genre, specialist photographers’ images are among the best newborn photographs, wedding photographs, storytelling moments, family portraits, and commercial imagery in today’s flooded market. 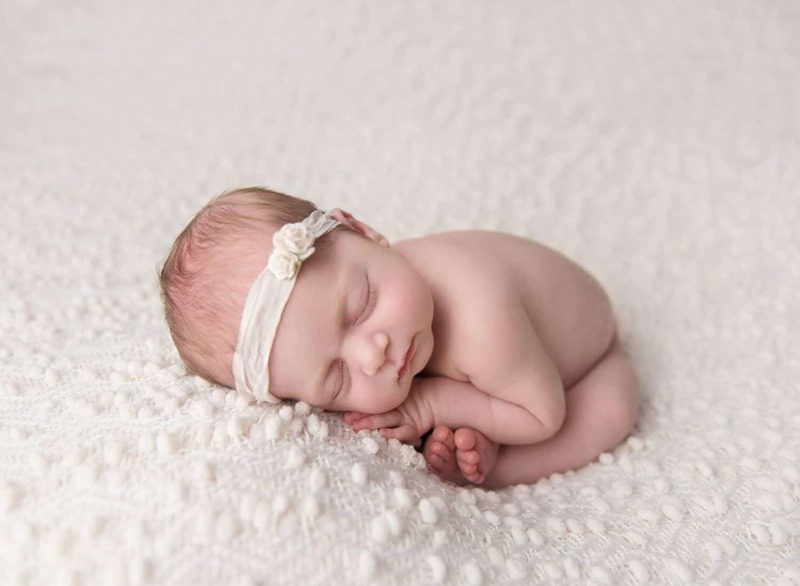 Studio newborn photographers dedicate their energy toward obtaining the best props, equipment, and techniques for photographing infant children. 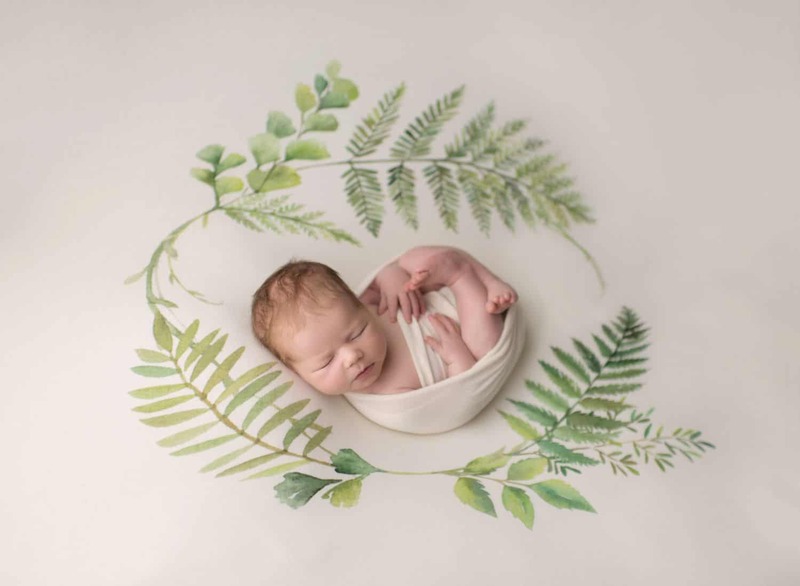 Below, Chaya outlines the studio skills needed to make the best newborn photos for your clients. 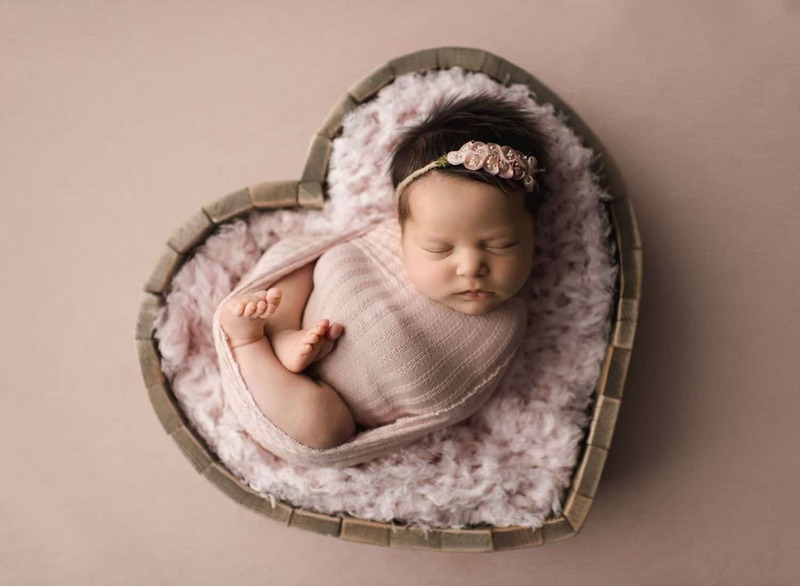 On location or in a studio, newborn photography requires specialty tools and a patient approach. The best newborn photographs require the same preparedness as, say, proposal photographs. Chaya’s shutter syncs with her strobe at only 1/250th of a second, but it can be a challenge to settle an infant for even that brief moment. 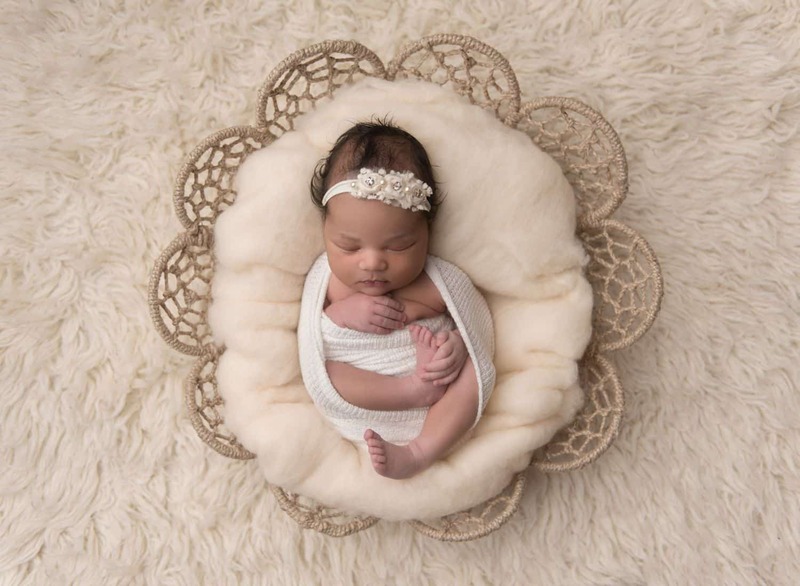 Controlled climates, soothing sounds, and soft surroundings are just a few of the key ingredients in skilled newborn photography. Chaya relies heavily on white noise machines to emit a womb-like whoosh in her studio. “Calming sounds help the baby relax,” she says. She is also a loyal fan of the Baby Shusher, a dedicated tool for soothing fussy infants. 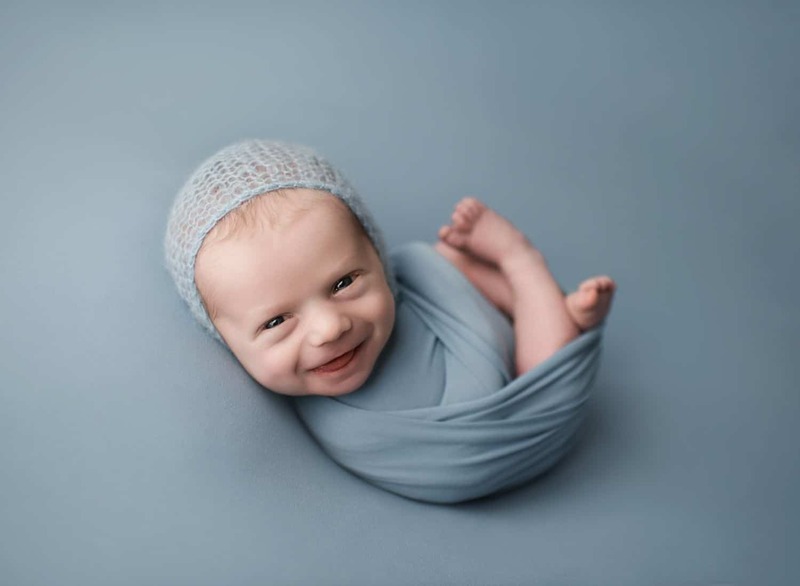 Relaxed, happy babies are necessary if you want to deliver the best newborn photographs to your clients! 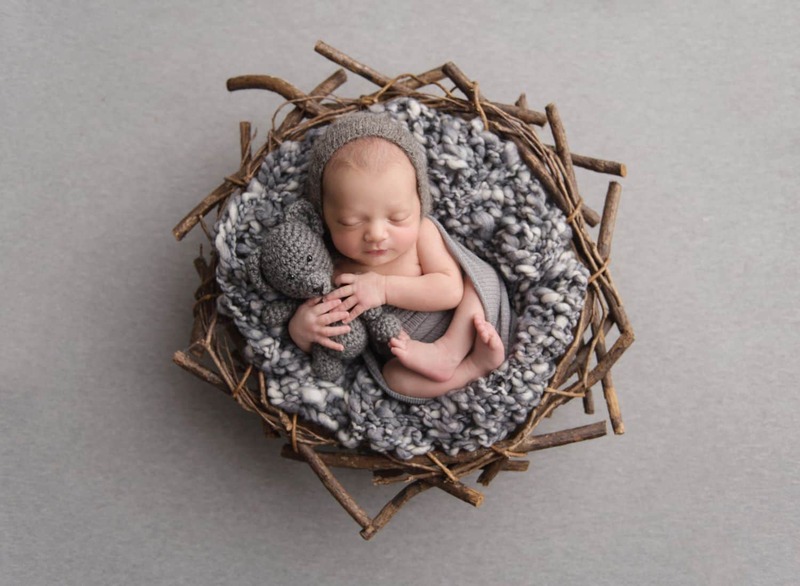 The best newborn photographs can only be made in an environment tailored to newborns. The correct touch? It is firm yet gentle – and it takes time to master. Unlike older clients, babies must be carefully, delicately posed to beautifully showcase their tiny features in a studio setting. When a mom or dad holds their baby, the most natural embrace tends to hide the baby’s face or present an awkward angle. Repeated experience with flattering angles and poses is the only way to guarantee the best newborn photographs of every baby. Perfect babies don’t alway have perfect skin. Give your clients the best newborn photographs they’ve ever seen by learning top-tier retouching techniques. Full-size props don’t work for newborns. Every prop in a styled newborn photos has been specially selected for an infant’s small size. For the uninitiated, Lightroom and Photoshop actions that are marketed for newborn photos can cause more problems than they solve. An action intended to eliminate red skin can result in a cyan hue. And fixing a magenta hue can render a newborn green, rather than flawless. It’s also easier to overexpose a new baby’s skin than the skin of older subjects. Infants’ skin is delicate, and they’re extra-sensitive to the slightest irritation. 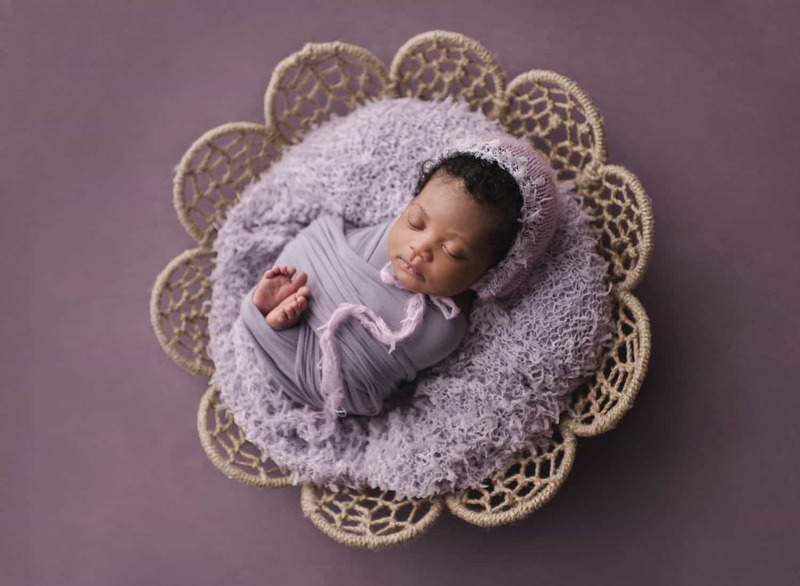 You’ll make the best newborn photographs when you source fabrics that have been created with babies in mind. Be up front with clients about what you can and can’t deliver. 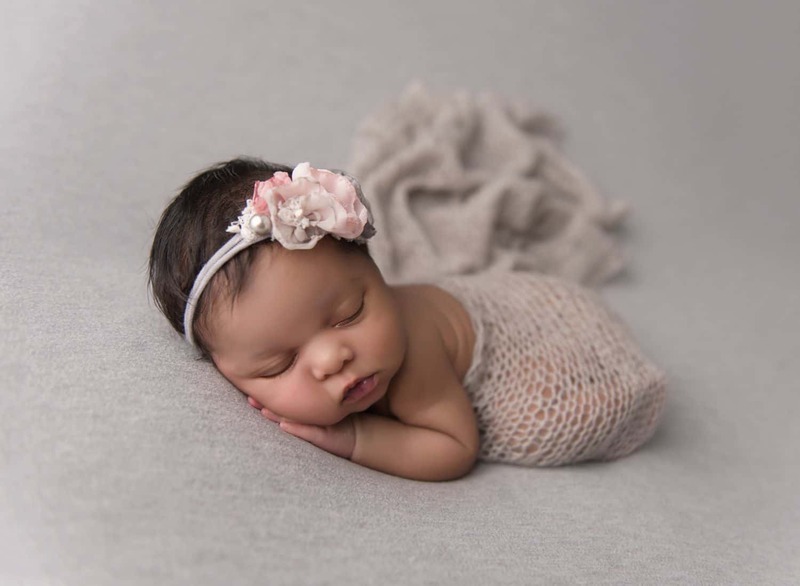 If studio newborn photos aren’t your specialty, refer parents to a photographer who can WOW them. They’ll be forever grateful, and the newborn photographer will return the favor when the situation is reversed! If you don’t want to photograph newborns, or if you haven’t quite developed the necessary skills, do yourself and your clients a favor. Refer them to a dedicated newborn photographer. When you build a beautiful network of specialist colleagues, clients get the most capable pro for their needs – every time. There’s nothing wrong with saying NO. Become an expert in one photography genre, and your clients will happier and your bookings more consistent. If you’re not yet sure, what are you doing to uncover your creative preferences? Comment below with your thoughts and experiences!